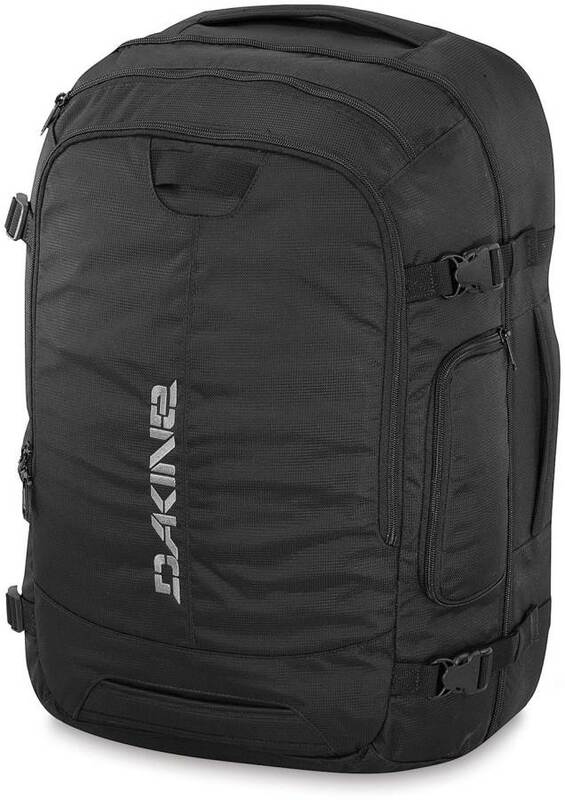 The Dakine In Flight 55L Travel Bag isn’t really something that completely relates to snowboarding but I love this bag and have been using it’s predecessor (cant remember the name) for close to 10 years. It’s been part of every snowboarding trip I’ve taken and is on the road or on planes with me for at least a month every year. The In Flight is a nice improvement and I think its going to be my travel bag for as long as the older model. It just really sorts things well and I’m really not into carry on bags with wheels and extension poles. They don’t hold as much and it’s better to have a pack because usually you have a wheelie bag for your boards if you are flying. It’s got durable material and only a few faults…well at least in my opinion. 1. I’d like to see the strap connectors be a little stronger and sturdier than the thinner plastic on there now. 2. I’d like the easy access pouch for toiletries to fit the Dakine Travel Kit toiletry bag. It seems to fit the Groomer bag well enough but it should fit both. 3. I’d like more padding on the outer flap on the front pouch that the laptop sit’s in and I’d like to see a Velcro cover strap over the lap top compartment. It doesn’t inspire too much confidence as it stands now and I’m not sure I want to put my laptop in it. Other than that everything else about the bag is perfect for a snowboarder like myself for travel. 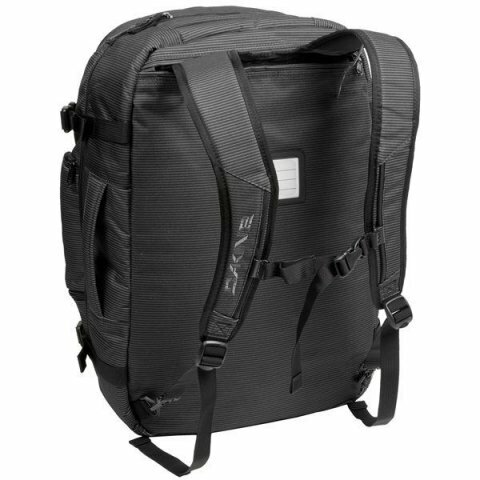 It can hold my regular clothes and snowboarding clothes allowing me to travel for about 1 week and alot longer if I’m traveling to a non snowboarding destination without having to hit the laundry. I’ve looked on line at all the carry on travel bag reviews and don’t understand why this isn’t ever referenced. I’d rather have this than a fancy Tumi carry on bag or bags like the Patagonia MLC. They are nice bags but the look, extra carry capacity and all around design of the in flight bag to me is better. I really wanted to buy the Patagonia because of they way they run their company but it just didn’t work like the Dakine. We try to get as many images of the Dakine In Flight, but forgive us if they're not all there.